Obertauern is incomparable as a ski resort. 100 kilometres of groomed slopes and natural snow offer skiing fun for beginners, advanced skiers and experts at this top ski resort. 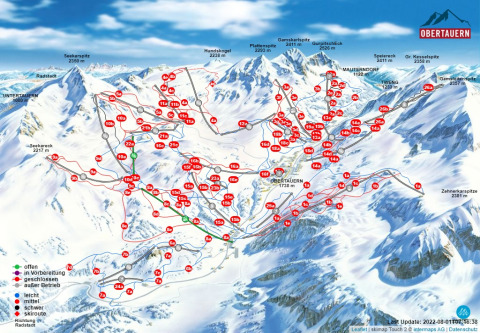 State-of-the-art lifts provide for quick transfers and brief waiting times and there is night skiing twice a week. From your hotel, you will have direct access to the legendary Tauern Tour. Attractive lift prices and hotel rates will make your holiday with us an unforgettable experience. A 2016 study on winter sports confirms that Obertauern offers the best chances for snow of any winter sports area in Austria. Due to the advantageous location at the Radstädter Tauernpasse, we can look forward to regular and guaranteed snowfall and know how to make ideal use of it.